Best Apartments in Mt. Washingtonsubmitted by Bernadette C. - Apr 04, 2019 |Recommended: YesI would say, quite, clean beautiful surroundings and large apartments. Staff is very professional and response to issues conducted in a timely manner. Price is high, but, you get what you pay for. Love living here. response from property - Thank you so much for the awesome review! We are glad to hear you feel right at home here and hope you continue to love it! Please let us know if there is anything else we can do for you and we'd be happy to help! response from property - Thank you Jessye! We appreciate the 5-star rating and great review; please let us know if there is anything else we can do for you and we'd be happy to help! response from property - Thank you for your feedback, Alan, we appreciate it. If you ever experience noise in your apartment, please let us know and we would be happy to discuss your concerns. Otherwise, thank you for the 4-star review and please let us know if there is anything else we can do for you. The best apartment complex in the areasubmitted by Emmanuel O.  - Feb 28, 2019 |Recommended: YesTwin Ridge apartments have raised the bar. Very responsive staff, facilities exquisitely maintained, and generally remarkable customer service. If you can afford to live here, don't think twice about it, you won't find much better around here. response from property - Thank you so much, Emmanuel! We are so glad you feel right at home here, please let us know if there is anything else you need! response from property - Thank you very much for the great review, we really appreciate it! Lovely, quiet community with fantastic amenitiessubmitted by Devin S. - Feb 16, 2019 |Recommended: YesThe community is a fantastic place to live with resident events, a clean gym, pool, and tennis courts. Twin Ridge is centrally located with quick access to the 695 and the 83. In other words, I am able to go to Baltimore, Towson, Owings Mills, and Ellicott City in about 20 minutes depending on traffic . Other residents are quiet and respectful of others. Our apartment boasts lots of light and updated fixtures in the kitchen and bathroom. Any maintenance requests have been answered in a professional and timely manner. We have lived at multiple places in the Baltimore area and Twin Ridge has been the greatest by far. response from property - Thank you Devin, we appreciate the great review! Please let us know if there is anything else we can do for you and we'd be happy to help. Great Apartmentssubmitted by Colleen M. - Feb 05, 2019 |Recommended: YesMy boyfriend and I both live with our friends at Twin Ridge Apartments. This complex is great, and the apartment itself, it amazing. While we did have a slight mouse problem, as we continued to bother the leasing office, they sent out exterminators who have, basically, gotten rid of the problem. Our upstairs neighbors are unreasonably loud, but we can't hear our other neighbors to the left of us too much. response from property - Thank you for the great review, Colleen! We are always here if you need anything else. response from property - Thanks Steven, we appreciate the great review. Let us know if there is anything else you need and we'd be happy to help! Great apartment in a quality area.submitted by Richard K. - Jan 14, 2019 |Recommended: YesI would 100 recommend living here, especially as a student going to school in Baltimore. Close to the city, but far enough outside to be involved with a separate community. response from property - Thank you so much Richard! We love having you as a resident and hope you continue to love it in our community for a long time to come. Please let us know if there is anything else we can do for you and thanks again for the awesome review! response from property - Thank you so much for the 5-star rating! We appreciate you taking the time to provide feedback about our community. Please let us know if there is anything else we can do for you and we'd be happy to help! Nice apartmentssubmitted by Eunji L. - Jan 02, 2019 |Recommended: YesIt's really good place, so I don't want to move another apartments. However, the noise from upstair unit is heard well. response from property - We're sorry to hear that you've experienced some noise from your neighbors. Please give our office a call and we can discuss if you like. Otherwise thank you for the 5-star rating and we hope you continue to enjoy it here! Great place to livesubmitted by Randi G. - Dec 05, 2018 |Recommended: YesI have only lived here for 2 months but I am thoroughly enjoying it. The location is perfect, close to all highways, plenty of restaurants, bars and stores. The office and maintenance staff have been very nice to work with and have taken care of things in a timely manner. The apartments are older and have all of the quirks that go with that but I believe Twin Ridge tries to do everything to keep them updated. I am very pleased with my decision to move here. response from property - Thank you Randi, we appreciate the great review. Please let us know if there is anything else you need from us and we'd be happy to help! Spacious with Problemssubmitted by Melissa C. - Nov 28, 2018 |Recommended: NoThe apartments are extremely spacious, the grounds are beautiful, maintenance is awesome and the staff are very nice. But I would not recommend renting here because of the extremely loud sound of the highway, the floors are paper thin you can hear everything going on in the upstairs apartment , and the windows and doors are not weatherproofed. We've had to put plastic on all the windows and stuff towels under the front door despite paying extremely high rent. response from property - Thanks for the nice comments, Melissa. I am happy we have provided good service to you. The apartments here are the largest in the area and we are glad you are enjoying the spaciousness. Please contact the office to see if another location that is in a more serene area of the community would suit you better. We can also provide some tips for you to keep your apartment "snuggly and toasty" during the cold season. Maintenance was sent to your apartment today to re-assess some winterization items. Please let us know if there is anything else we can do for you. Thank you! Great Community and Complexsubmitted by Keyona B. - Oct 31, 2018 |Recommended: NoThe door slamming is the worst thing .. The doors automatically slam if you do not hold it to close so all day long that is all you hear in the building.. maybe something could be installed to quiet it. Better than what most have to offer.submitted by Charles S. - Oct 31, 2018 |Recommended: YesEveryone is really nice. Feels like a small community. response from property - Thank you Charles! We are glad you're enjoying your stay in our community and it's really felt like home for you. Please let us know if there is anything else you need and we'd be happy to help!